Many organizations are interested in using the increasingly large amount of data they collect for social good. However, making sense of so much data and then turning those insights into actionable decisions is a difficult task. To streamline this path from data to insights to decisions, organizations in the public and private sector are beginning to use artificial intelligence (AI). AI involves the use of computers to perform complex tasks typically performed by humans. In particular, advances in machine learning—a branch of AI that focuses on designing computer programs that can automatically and iteratively build analytical models from new data without having the solution be explicitly programmed—are helping organizations analyze massive amounts of data to better understand complex problems, predict outcomes, and prescribe solutions. Given these benefits, policymakers should encourage the adoption of AI in the public sector to create more opportunities to use data to make the world a better place. 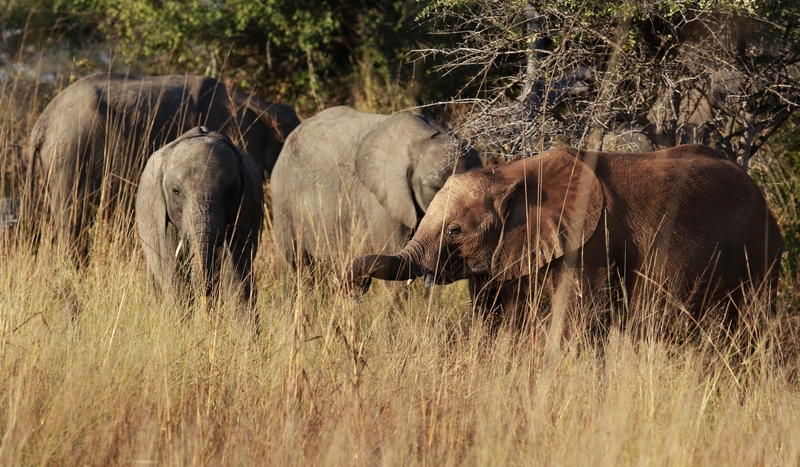 Many public sector organizations are already using AI for projects across different fields, showing the potential for this technology to contribute to social good, such as to improve the quality and efficiency of surgical care, to create an early warning system for adverse police-community interactions, and to better protect endangered wildlife. In health care, for example, Dr. Eric Elster of the Uniformed Services University and Walter Reed National Military Medical Center has applied machine learning techniques to improve the treatment of U.S. service members injured in combat. By analyzing the combination of electronic health records and biomarker data like images and fluids, Dr. Elster and his team created a decision support tool for key treatment decisions like when to close wounds. Early studies demonstrate how this application of AI may ultimately improve surgical outcomes while reducing health-care costs. In this case, using AI augments the reasoning and experience of trained clinicians, allowing them to make data-driven decisions around surgical care. Another example of how AI can be used for social good involves improving police-community relations through tools to address problematic police behaviors before they happen. Rayid Ghani of the Center for Data Science and Public Policy at the University of Chicago, working with data from the White House Police Data Initiative, developed an early intervention system for the Charlotte-Mecklenberg police department in North Carolina. Applying machine learning techniques to data on individual officers, neighborhoods, and situational circumstances, Ghani and his team created a system which identifies police officers who may be at risk of engaging in harmful or inappropriate behaviors, such as racial profiling or the excessive use of force. Police chiefs or other police department leaders can use the system to better understand which factors contribute to these problems and design interventions, such as training or counseling, for specific officers. The end result is safer conditions for both officers and citizens. Conservationists are also exploring how to use AI to protect wildlife from illegal poaching. Dr. Milin Tambe and his team at the University of Southern California created the Protection Assistant for Wildlife Security (or PAWS for short), a computer program which combines poaching data with AI modeling to predict behavior of the hunters in Queen Elizabeth National Park in Uganda. By targeting areas where poaching is predicted to occur more often, PAWS helps the wildlife rangers to effectively patrol a vast area of land with a limited number of officers. Additionally, the system generates a random and constantly changing schedule for patrols so that poachers are unable to discern a predictable pattern. The use of this type of system has the potential to combat poaching and support conservation efforts in wildlife reserves across the world. These cases highlight the potential of AI to address a variety of social problems and the need for policymakers to encourage and support research collaborations and responsible experimentation in designing data-driven and AI-enabled interventions. For more on this topic, see video from the event Artificial Intelligence for Social Good hosted by the Computing Community Consortium.